Built on reputation, recommendation and over 10 years of experience, we provide a full professional service from free planning and design through to complete bathroom & kitchen installations. We also offer everything in between, including all structural work, plumbing, electrical, plastering, carpentry and heating work in the East Devon area. We pride ourselves on offering a high standard of workmanship, attention to detail and total customer satisfaction. We see the job through from beginning to end, often exceeding expectation. No matter what size your bathroom / kitchen or your budget we can create the room of your dreams that are unique. We will advise and together with you, design your bathroom or kitchen free of charge, which will be accompanied with a CAD drawing if required. We are happy to supply any make of product you require or if you wish we can fit the products you supply. The choice is yours! 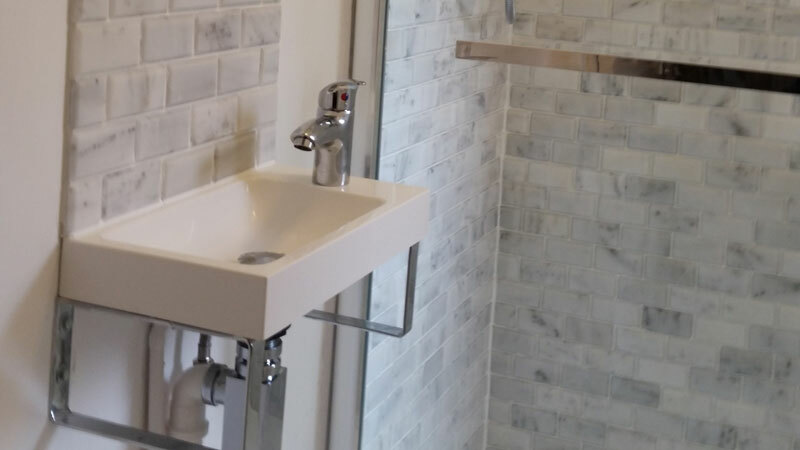 Of course, if you simply wish to modify your existing bathroom or kitchen we are happy to take on the smaller projects to improve your bathing & eating needs and update your home. All our work is guaranteed and insured. Each installation is carefully planned so that any inconvenience is minimised. At the end of the working day we ensure areas are left clean, tidy and safe and on completion all waste materials are removed from the premises, leaving the customer to enjoy their new bathroom or kitchen.